For optimal heart attack recovery, it's important to follow a heart-healthy diet, manage your stress, and stick with the exercise program prescribed by your doctor. In some cases, adding alternative therapies to your health routine may further improve your heart health and overall well-being. Although few studies have explored alternative medicine's usefulness in heart attack recovery, there's some evidence that certain natural therapies may benefit heart attack patients. For instance, a 2004 research review suggests that incorporating yoga into cardiac rehabilitation programs may help promote recovery. In a 2006 research review, investigators found that meditation may aid in cardiac rehabilitation by reducing stress. And in a 2003 review, researchers concluded that adding tai chi to standard care may help enhance heart health and quality of life among heart attack patients. Chronic stress can take a toll on your heart health. To manage your stress, consider adding relaxation techniques and mind-body therapies to your health routine. Many patients experience symptoms of depression after suffering a heart attack. To help boost your mood, make sure to maintain your social connections, get a good night's sleep, and exercise regularly (according to your doctor's recommendations). You may also want to consider joining a support group. Following a heart-healthy diet may help stave off future problems related to heart disease. Make sure to stick with the dietary recommendations provided by your doctor, which will most likely include focusing on whole foods (especially fruits and vegetables), cutting back on cholesterol, choosing complex carbohydrates over simple carbohydrates, curbing your sodium intake, and selecting healthy fats (such as those found in fish oil and flaxseed). If you smoke, consider using natural remedies to quit smoking (such as hypnosis). Because being overweight can threaten your heart health, it's important to achieve and maintain a healthy weight. If you need to lose weight, talk to your doctor about safe and effective strategies for weight loss (which may include certain natural approaches). If you're interested in integrating any type of alternative medicine into your heart attack recovery program, make sure to consult your physician before beginning treatment. Because your heart may be vulnerable to further damage, it's crucial to work closely with your doctor in maintaining your heart health (rather than attempting to self-treat your condition with remedies or therapies that may not be suited to your health needs). Arthur HM, Patterson C, Stone JA. "The role of complementary and alternative therapies in cardiac rehabilitation: a systematic evaluation." Eur J Cardiovasc Prev Rehabil. 2006 13(1):3-9. Cleveland Clinic. "Recovery after a heart attack". Jayasinghe SR. "Yoga in cardiac health (a review)." Eur J Cardiovasc Prev Rehabil. 2004 Oct;11(5):369-75. Taylor-Piliae RE. 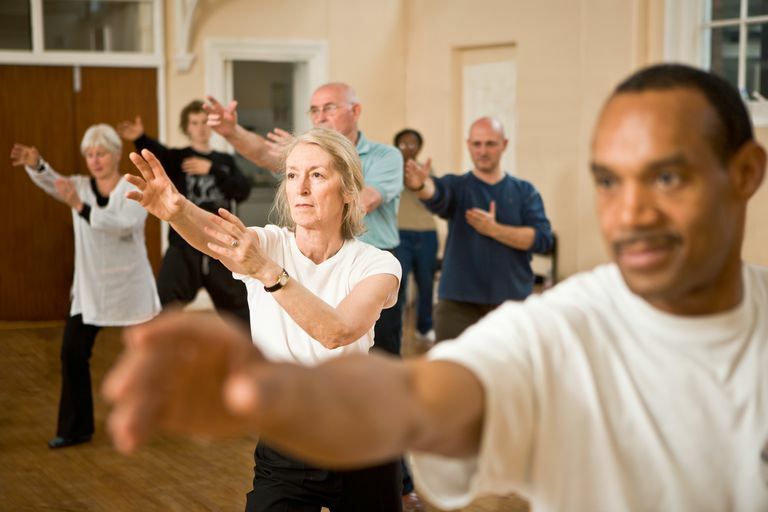 "Tai Chi as an adjunct to cardiac rehabilitation exercise training." J Cardiopulm Rehabil. 2003 Mar-Apr;23(2):90-6.